Exercise to maintain body heat, but avoid overexertion. Vigorously move your arms, legs, fingers and toes to keep blood circulating and to keep warm. Make yourself visible. If stranded in a remote area, stomp large block letters in an open area spelling out HELP or SOS and line with rocks or tree limbs to attract the attention of rescue personnel who may be surveying the area by airplane. Leave the car and proceed on foot – if necessary – once the storm passes. 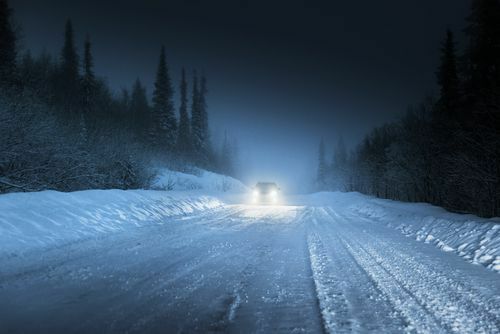 Winter storms can be a dangerous situation on the road. Make sure to take precaution and follow these rules to stay safe during the winter months.